Always on the go, it is a rare treat when my family is all together for family meals during the week. With my husband and I working opposite schedules, combined with the hustle and bustle of the kids' activities, many of our week day evening meals are of light fare. On the weekends, however, we crave connection and have found family meals are a wonderful way to slow down, rejuvenate and share of ourselves. From planning to a new recipe to try, sometimes a challenge with our varying tastes, to creating it together, we enjoy our new culinary discoveries, along with our conversations. Although this weekend was full of fun, preparations for the all important Halloween day underway, we made certain to share a family meal on Sunday. With requests from everyone for a hearty meal, and recipe for Simmered Smoked Sausage and Potatoes from HillshireFarm.com, off to Walmart I went. Beyond our immediate meal needs, I also had a few other essentials on my list, including fresh vegetables, lunch meat, and a large quantity of Halloween treats for our anticipated trick or treat visitors. 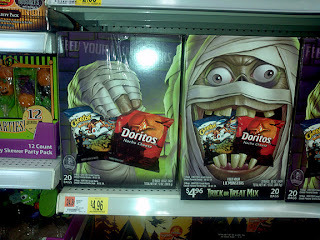 You are welcome to take a visual tour of my shopping trip. 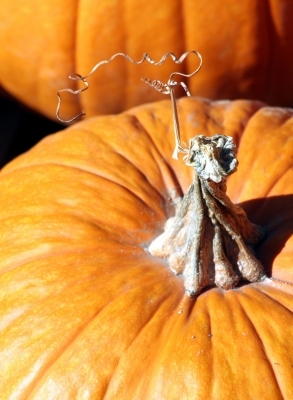 On my shopping excursion, I found a sensory celebration of many of my fall favorites! I enjoy shopping in a thematic environment, finding the full experience both inspiring and rejuvenating. From fresh selections at prices I appreciated in the produce section, including offerings grown in Michigan, to quality gourmet sausages, and, of course, plenty of Halloween treats, my trip was both a pleasure and a success. 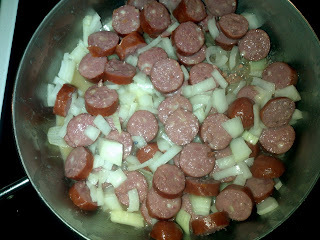 As our chosen recipe featured sausage, I did spend some time in making my final selection. 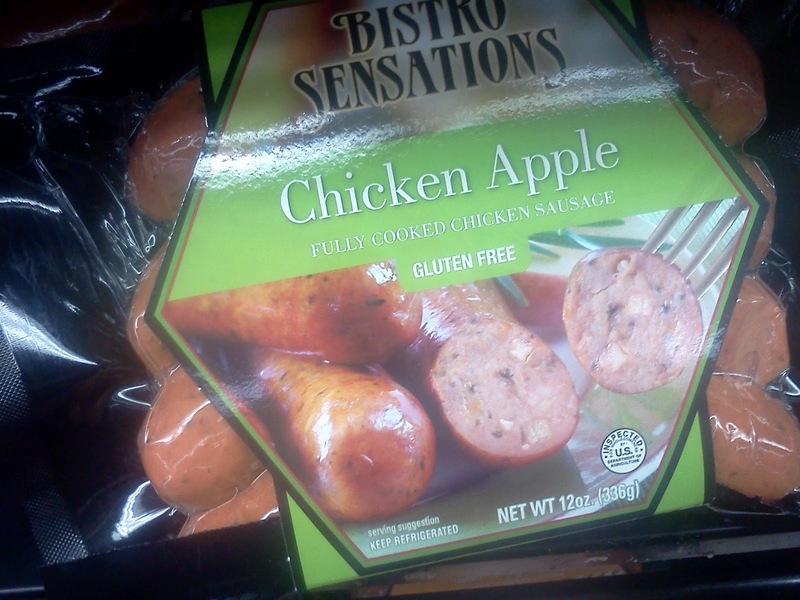 The final determination came down to two likely contenders: Hillshire Farm Gourmet Creations Beef & Bacon sausage and Benito's Bistro Sensations Chicken Apple sausage. The packaging of both caught my eye immediately. While the Benito's packaging was a bit more flashy and vibrant, the Hillshire Farm product was the clear winner. I appreciated the message of no artificial flavors, colors or by products added on the front of the Gourmet Creations packing. As well, the packaging allowed full view of the enticing Hillshire Farm sausage, where the flashy wrap on the Benito's product essentially hid the sausage within. 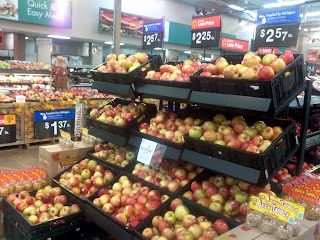 Further weighing the Hillshire Farm reputation of quality and bonus of Save .55 Now coupon, my choice was clear! Hillshire Farm Gourmet Creations Beef & Bacon with Monterey Jack Cheese it would be! Quite satisfied, I arrived home to ready helpers with my haul. As everyone was anxious to try this new recipe, each lent a hand in the preparations. Great recipe to experiment with the addition of varied ingredients! 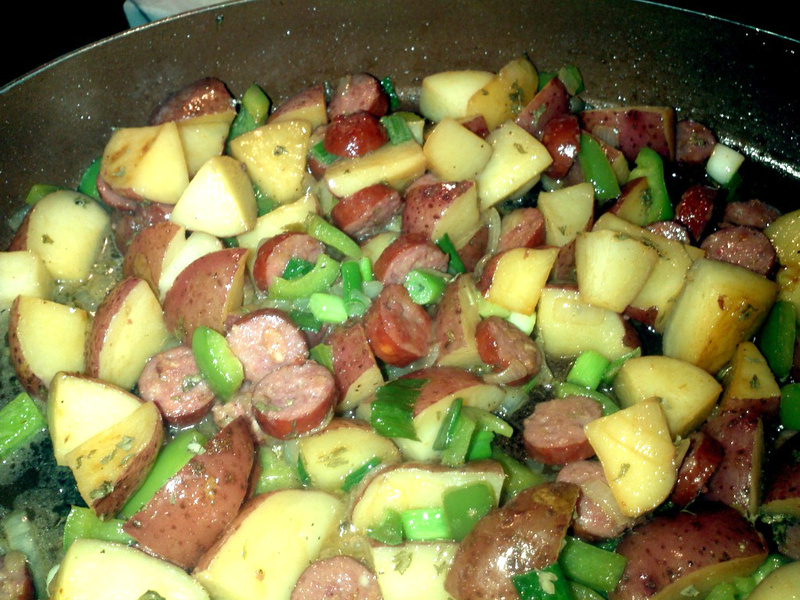 cover and cook 15-20 minutes or until potatoes are just tender. 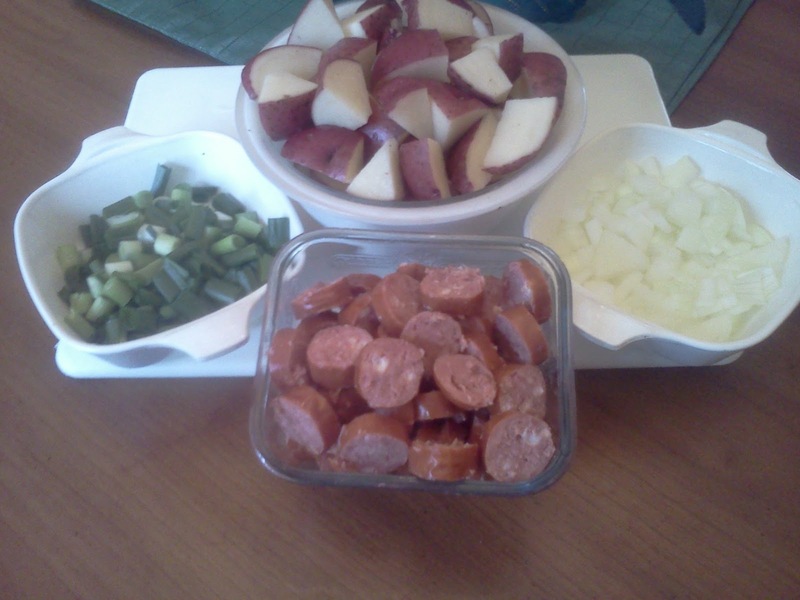 For our meal, we substituted apple juice for beer, as well as added diced green peppers into the mix. Simmering the mixture in apple juice gave the whole dish a wonderful juxtaposition of sweet and salty; a light crispness to the browned edges of the sausage and potato pieces, with tender centers. The whole family loved this meal, from prep to each tasty bite. With plenty of chopping and dicing for my son and stir fry like cooking method, a technique my daughter is currently hooked on, our family meal was full of great tastes and much discussion of possible variations for the future. 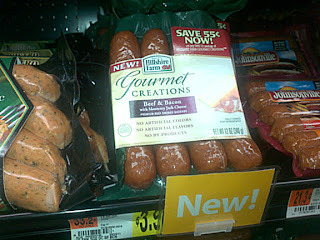 Hillshire Farm Gourmet Creations sausage is certain to star in another recipe soon! A tasteful, and easy meal, perfect for families on the go! 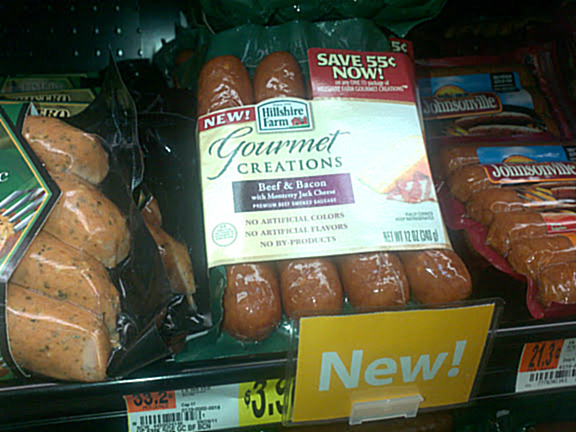 Hillshire Farm Gourmet Creations are now available at Walmart. This shop has been compensated as part of a social shopper insights study for Collective Bias. The opinions above are both honest and my own. That looks like the perfect fall dish. I haven't tried that flavor yet - but it sounds good. Mmmm, that looks good! You can't go wrong with meat and taters!!!!! That looks so yummy! I love the sausages so I think I'm going to have to give that a try! Mouth hanging wide open and belly growling. That looks delicious! We'll be having that this week! That food looks so delicious!! I am def. going to look for these items and try out those recipes! Oh wow that meal looks amazing!! I am going to have to check out those hillshire options!! That looks so good! 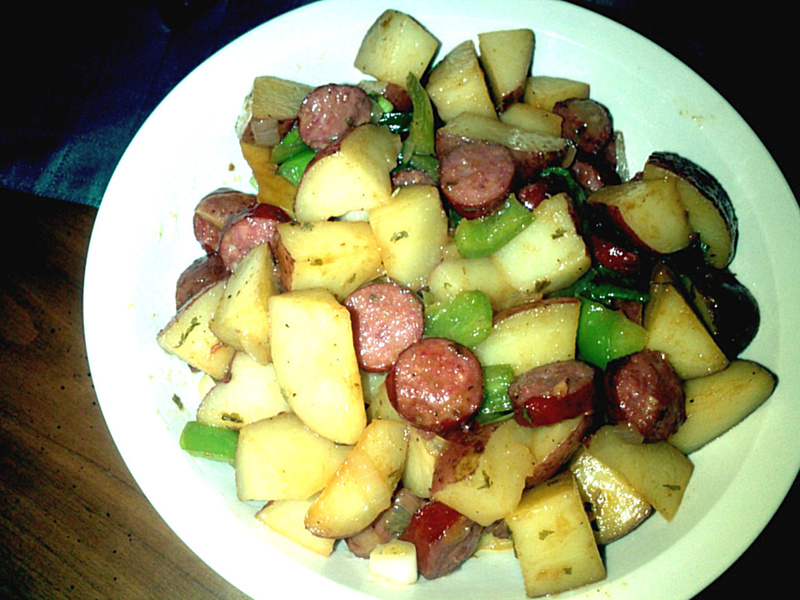 I love sausage and potatoes together. If you ever need a quicker meal you can use fully cooked sausage, canned potatoes and canned carrots and pearl onions. If you season well, it still tastes pretty good and it' so quick.